Featuring a lovely floral embroidery on the front, this cap is sure to give your child an adorable look. 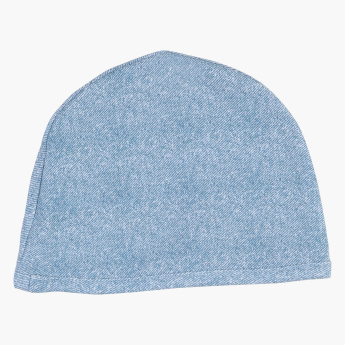 The soft fabric of the cap gives your kid's head a snug fit. Features : Helps prevent baby from getting chilled and keep baby warm and comfortable.